Tangier Desert tour: 10-day Imperial cities and Sahara trip from Tangier to discover the richness of the Sahara desert and the secrets of ancient medinas. You will travel from the seaport of Tangier to the city of Fez, then to the desert town of Merzouga. – Visit Ouarzazate and Ait Benhaddou Kasbahs. 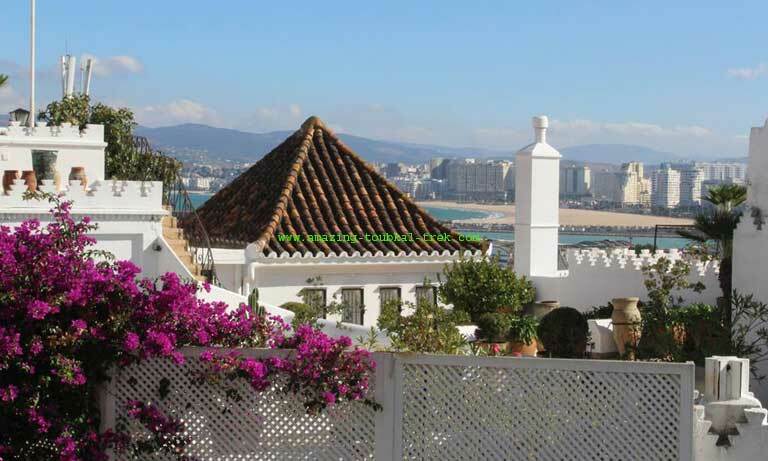 Once you arrive in Tangier, either by plane or ferry, your driver will take you to your chosen hotel. You will have some time for yourself where you can briefly explore the busy city port that is a hot spot for all sorts of social personalities. At night you need to rest and prepare for Day 2. 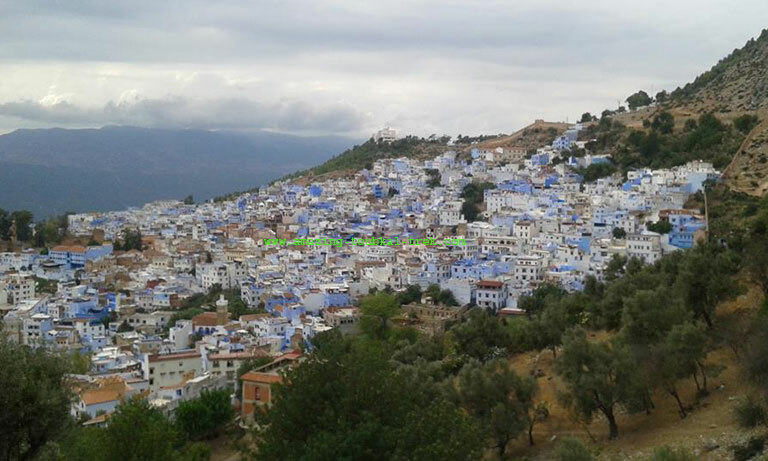 After your morning meal, we will have a quick tour of the city before departing toward Chefchaouen, the infamous town located in the Rif Mountains. On our way, we will encounter many small villages and will end the day with dinner and rest at the hotel. Fuel up for breakfast and after we will explore the blue town of Chefchaouen that is located in a quiet part of the mountains. In the afternoon we will make a trip to the long-lost ruin of Volubilis, which will give you a small taste of what life was like back in the days of the Romans. After, food will be a priority while we travel to Meknes. After refueling and getting a quick tour of Meknes, it’s time to head off to Fez, which is considered the cultural hotbed of Morocco. After breakfast time, you will be taken on a guided tour of the sizeable walled-in city. As you explore the town and its narrow streets, you will experience all the things that make the area what it is, like fruits, spices, and traditional art. There will be mosques along the way, with some dating back all the way to 860. Although they do not allow non-Muslims in, many other stops will take your mind off this, including the Batha Palace that is now a museum, Nejjarine Fountain, and Bab Boujloud with its famous blue and green ceramics. Prepare for early breakfast because we will leave early for the Sahara Desert. Along the way, we will pass through many favorite locations like Ifrane, a ski resort built by the French in the 30’s. Other than that, the trip will mainly consist of forests, villages, and rock cliffs. Halfway through the tour we will stop in the town of Midelt for lunch, and learn about its rich history in fossils. Once we arrive at the Kasbah in Erfoud, a hot shower or quick jump into the pool will revive you from the long trip. Enjoy dinner at the hotel and get rested for the next day. Once breakfast is made, we will depart for the village of Rissani. This village is famous for being where the Alaouite dynasty originated from, which are now ruling over Morocco. Here you will see attractions like the monument in Sijilmassa, which is the center of desert trading. Lunch will be local food prepared at a traditional restaurant. From there we will depart to Merzouga. Today includes a specially prepared Berber breakfast before leaving for Ouarzazate. We will be traveling along the “Road of a Thousand Kasbahs,” which is a famous trading route, which can be seen in some famous movies. This region is one of the most romanticized areas of Morocco, known for being located next to lush river valleys, all of which are under the beautiful blue skies of the desert. Lunch will be at a small, local village along the way, and after will be some time for you to freely explore the town on a hike, or you can rest next to the pool and enjoy the weather. On our way back to Marrakech we will pass through the Draa Valley, which is populated by palm groves and Berber villages. Once we get to Ait Benhaddou, the terrace that is overlooking the Kasbah complex, we will have a moment to refuel for lunch. After, we will continue our trip back to the hotel/riad in Marrakech. The last day of the tour is all about exploring Marrakech. This exploring will include visit monuments like the Saadian tombs, Koutoubia Mosque, and the Menara Garden. We will return to the hotel for lunchtime, and from there you are free to explore by yourself. We recommend checking out the souks, but if you’re low on energy then maybe you can round your day off with a sweet drink while people-watching at Jamaa Elfna Square. End of Tangier desert tour. Enjoy your last breakfast at the hotel before departing for the airport. 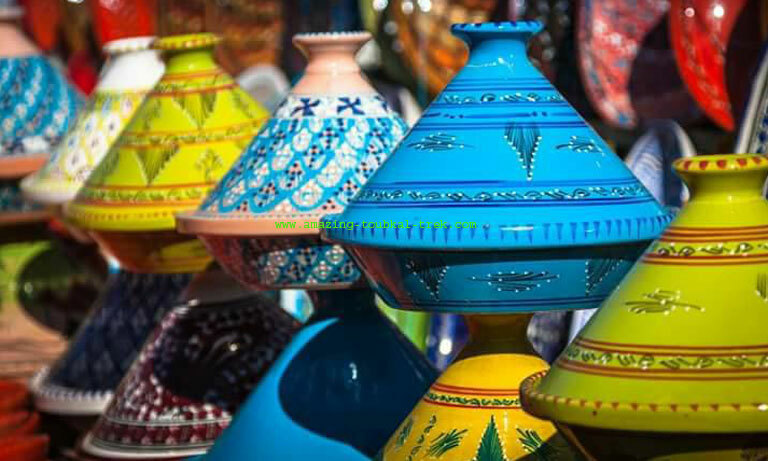 – Tangier desert tour is available and can be arranged for groups of all sizes. Tangier desert tour: A private trip for those who want to explore the north of Morocco and also visit the Sahara desert. Tangier desert tour, Imperial Cities and Sahara Trip from Tangier.